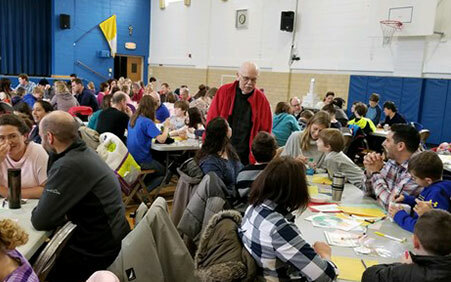 On November 7th and 10th we had our first Faith Fests for families with children in grades 1-5. The goal of the Faith Fests is to help weave faith into family life. Advent was the focus of these first gatherings. Each family made a goal for each week of Advent focused on hope, peace, joy and love. These goals were written on a gift box that they cannot open until Christmas!!! !